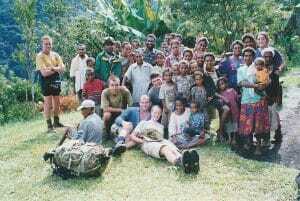 In the year 2000 I was in the Army Reserves and an opportunity came up to go to PNG and walk the Kokoda trail. Me being me, I’d trained for months before we left, I’d hike up Sublime point from Austinmer to Bulli tops with a 15kg pack, sometimes twice a day. I was determined I was going to make the entire trail as I’d heard so many didn’t. But when we were flying over the Owen Stanley Ranges and into the Kokoda air field, I realised how little that training prepared me for what lay ahead. From the air, the terrain seemed impossible, the mountains and valleys so high and so steep that an Australian mountain goat would have struggled. Let alone the likes of me. On the trail, not all of us got through, a few dropped from malaria and a couple simply gave up, and with what we had to face, I really don’t blame them. It wasn’t just the incredibly steep mountains that were challenging, it was often the rain, the leaches & mosquitos, the river crossings and sleeping on the ground that made the entire experience. Whenever you asked the locals how much further, they would point in the general direction of the Village you were heading and say, “Just over there.” Adding a sadistic little chuckle, knowing full well it was close to a day’s hike for us. The challenge was that each time we were at a peak, we could see our destination, but we couldn’t see the terrain in between. We couldn’t grasp the difficultly or the steepness of the mountains or even the winding paths that seemed to just keep going and on day 5 it was like all ten days on that track were cumulated into that one day! Like someone up above was throwing down the gauntlet, testing how far we’d go to achieve the goal of finishing the Kokoda Trail. Our leader, Col, had set the mark for that night as Efogi 2. That leg of the trail nearly killed the lot of us. It was just after the highest point on the track that there was a long decent leading us to Templeton’s Crossing. On the map it looked like a shallow meandering creek, but in reality, it was a treacherous, raging torrent. One of the guys swam across with a rope, tied it to a tree and swam back so we could cross somewhat safely. Swimming across a rushing river in chest high water, with a 20kg back pack isn’t a great idea, but doing so in the middle of the PNG jungle without any rescue gear and head hunters not too far down the river, it seemed like madness. But, we made it. Just! I pulled myself up that river bank, my backpack now feeling like it weighed 50kg (and probably wasn’t far off) and collapsed. Physically and emotionally wrecked! Col walked by after we’d all crossed safely and said “10mins we’re off, we still need to reach Effogi 2 before dark.” Ehhhhhh, I didn’t think I could sit up, let alone walk another few arduous kilometres. I felt something slimy on my belly, and pulling up my shirt saw 3 ginormous leaches sucking away at my blood, and in that moment, it was truly the least of my concerns. And so I trudged on, I’d lost sight of the others and was simply repeating over and over in my head “Just one more step” when finally, after walking through the afternoon downpour, the jungle thinned out and the mist began to rise, I heard the most beautiful sound. After walking in jungle and mist all afternoon, crossing rivers and climbing on all fours up steep slopes of mud, I had finally made it to Efogi 2. The school children, seeing the others arrive, were hanging out the classroom windows and singing their beautiful welcoming song. It was one of those times in life when you realise that all that had come before it, all the challenges and all the blood, sweat and tears, nothing could compare to that moment, and all it took on my part, was talking one more step. 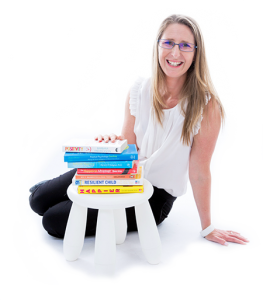 I learned an important lesson that day, that whatever challenge I face I have a choice, and I can always choose to take one more small step, and if I just focus on the small steps I don’t get overwhelmed with the mammoth task ahead of me.